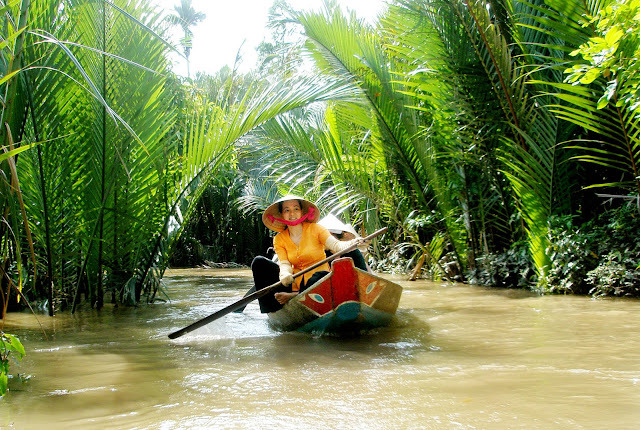 Once setting foot in the Mekong Delta in Vietnam, you shouldn't skip My Tho - a peaceful and beautiful city lying on Mekong River basin. If you are thinking about a trip to this land during your Indochina Tour Packages, then our My Tho travel guide might be useful. It is quite easy to find your suitable vehicles to My Tho. One of the most convenient and stable is to travel by bus. All you need to do is to come to Cho Lon Bus Station in Ho Chi Minh City (Saigon) and board the bus Saigon – My Tho or other buses to Ben Tre, Go Cong etc. Located just about 70km from Saigon, riding your own motorbike to My Tho is also a good idea. Just ride straight from Saigon to the Western area on the AH 1A, passing Long An and take a left hand turn at Trung Luong T-Junction. The system of buses in My Tho is quite large, which guarantees you an access to many highlights of the city. However, if you want to see more tourist attractions on the outskirt area, this is not really a good choice. The best vehicle you should choose to discover this tranquil land is motorcycle, which offers you the chance to discover deep into many obscured areas that bus can’t. Although the motorcycle rental in My Tho is not so popular, you can ask the hotel receptionists for one for about $6-8 per day, depending on the quality of the bikes. To explore deep into the rustic waterways and see the local villages and markets, boat is the only choice. 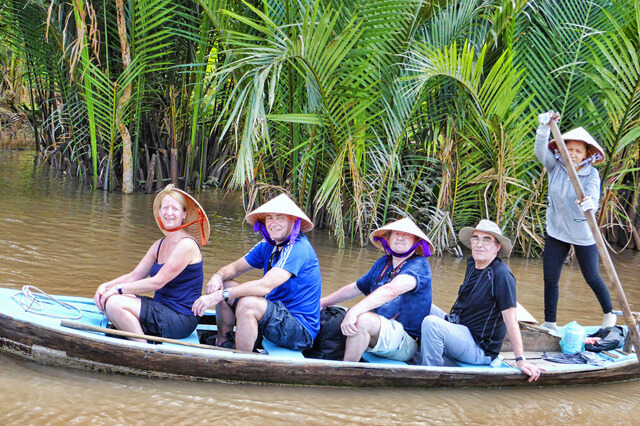 This will be an interesting experience for you to sit on local bamboo boat controlled by the local, enjoy fresh air, admire tranquil scenery of Mekong Delta’s countryside and enjoy the unique fold song called Don Ca Tai Tu. Last but not least, My Tho is the departure place for those who want to take one of Mekong Cruises on Mekong River to Vietnam's closeknitting neighbor - Cambodia. Experience the cruise today and you can thank me later. My Tho is always a good destination for tourists to discover both historical sites and ecotourism. 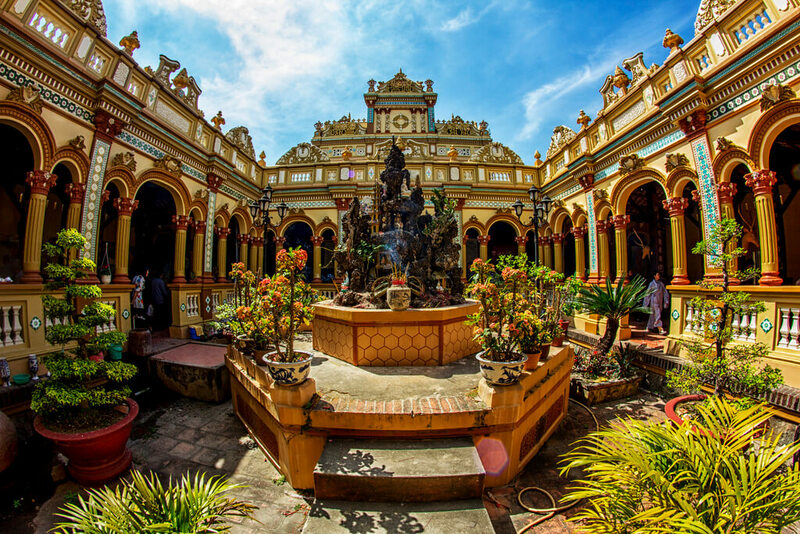 If you are eager to learn more about architecture and religion in Vietnam, you should pay a visit to Vinh Trang Pagoda, a beautiful Buddhist complex dating back to 1850. 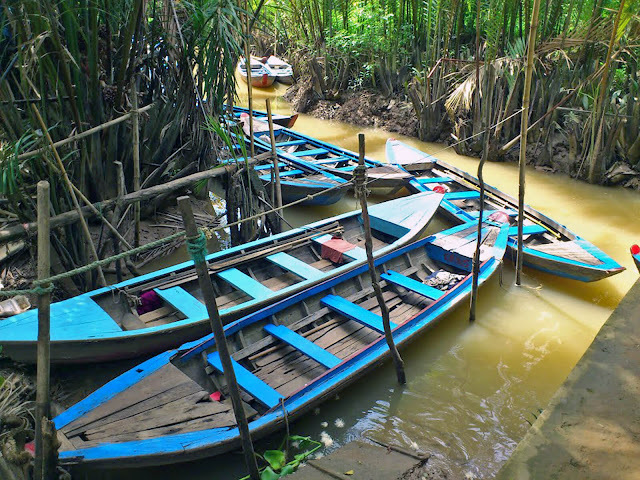 For those who are interested in Ecotourism, a trip to Thoi Son Island will not disappoint you. 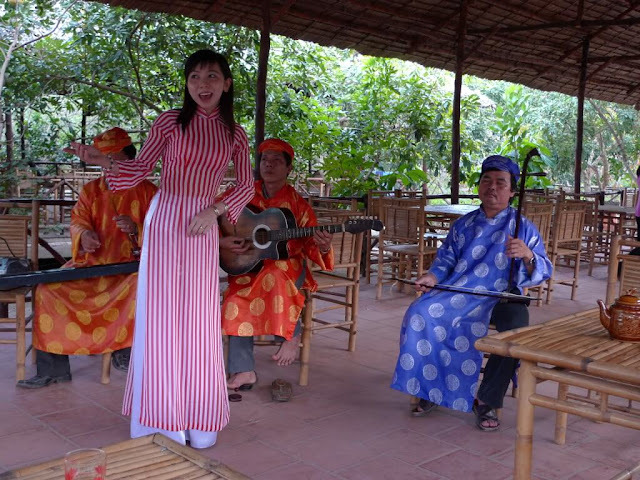 There, you will not only admire a peaceful island but full of interesting activities, but also set foot in one of the biggest fruit gardens in Vietnam. Dong Tam Snake Farm – the biggest of its kind in Vietnam will be one of your highlights offering you the chance to observe the lives of various types of snakes and lizards as well as meet the locals who daily take care of them.